Gutters that are custom-made to fit your home or historic building's facade creating a finished look. 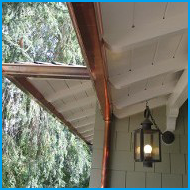 If you appreciate craftsmanship and the assurance that your new gutter system will last for years to come, then contact our professionals at Crescenta Raingutters. We clean gutters and install screens as part of our service. 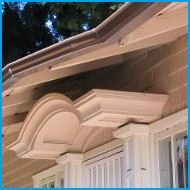 We've offered custom gutter installation services in the Foothills region for more than 25 years. 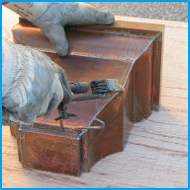 Whether you have a single-family dwelling, a historic church, or an architectural oddity, we can fabricate gutters in copper, steel, or aluminum. Property managers and real estate professionals often contract our services for apartment and commercial buildings because we handle short-notice projects and houses in escrow while providing quick results. We also design and install atypical metal architectural pieces to give your structure's facade an antique look. 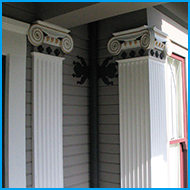 Our staff has more than 35 years of experience when it comes to assembling distinctive gutters and downspouts.